For 1500 years, Israel was under the Law. They were blessed if they obeyed, cursed if they did not. But God didn’t like that system at all, as He states in Hebrews 10. You see, He LOVES sinful man. He wants to bless us, not see us suffer under the curse. But because of the law, we were cursed more often than we were blessed. That’s why He couldn’t wait to send His Son so that fellowship with US could be restored! But because He is holy and we were not, He had to hide His glory behind that veil so we wouldn’t die. In a way, He was just a much a prisoner as we were, cut off from face to face fellowship. He was so eager to restore fellowship, in fact, that He ripped that eight-foot-thick veil in the temple in two from top to bottom the nano-second Jesus died. God Meets You At Your Point Of Need. Our God has a long history of coming down to earth just to meet and be with His people. He comes to meet us wherever we are, at our point of need, based on the nature of our circumstance. 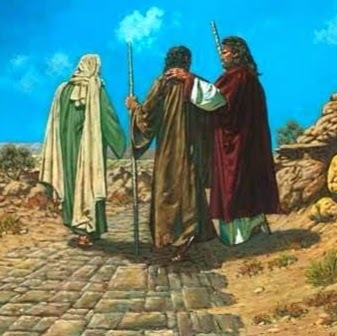 On the Emmaus road, for instance, He appeared as a traveling Man because the people were traveling. They were so sad and disheartened because Jesus had been tried like a criminal and executed. He hid His identity from them so He could explain why it all had to happen and it warmed their hearts. When Abraham was itinerate, living and traveling around in tents, he saw Jesus coming toward him, dressed as a traveling man, with two angels. He had come to announce to him the news about the son, Isaac, that would one day be born to him. Everywhere He walked when He was on this earth, He went about doing good. He healed everyone who came to Him, raised the dead, cast out demons, and fed thousands in one sitting from meager supplies. God Meets You As You Are. If you’re a doctor, He talks to you like a doctor. If you’re a mother, He shows His maternal side as El Shaddai, the nourishing One, The Protector. Joshua, before he conquered Jericho, had a vision. He saw a man with a drawn sword before him who said He was the captain of the Lord of Hosts. Why did He appear as a captain? Because He was talking to a captain. If you’re a soldier, He talks to you like a soldier. If you’re a pastor, He’ll shepherd you so you can shepherd His people. God Traveled In A Golden Box. In the desert, Jesus traveled with the Israelites everywhere they went. Imagine that! The Almighty God of the universe, Who created everything there is, allowed Himself to be carried around in a little golden box by priests! You see? He wants to be with His people wherever they are. He wants to be their answer; Your answer; My answer…to every problem or situation. God Became One Of Us. 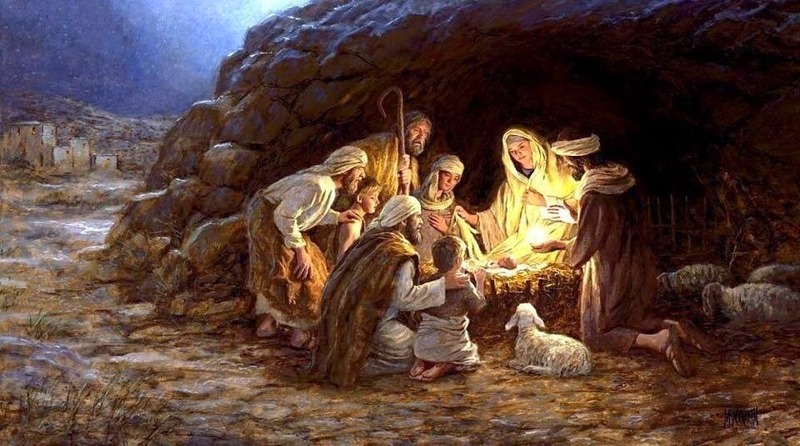 In the fullness of time, He was physically born into our world. He came ever so quietly, ever so humbly, in great grace, as a tiny, helpless, human baby to be cared for by a teenage girl. 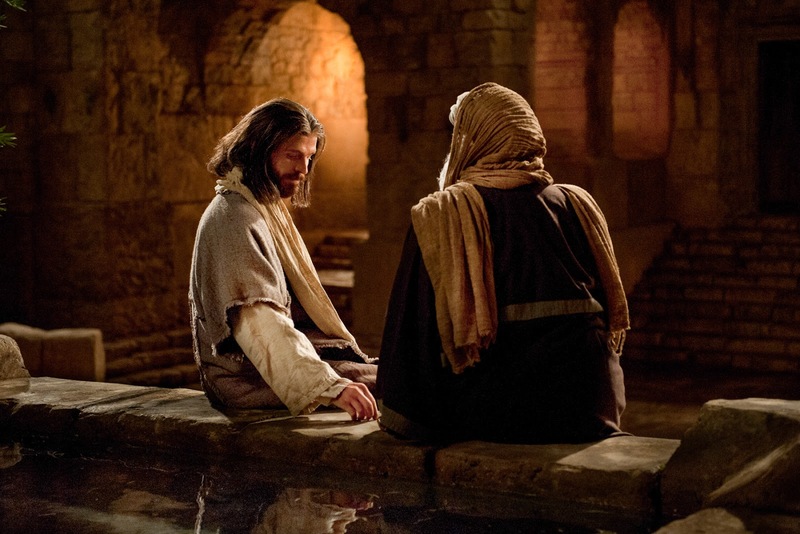 He became a man in order to fulfill the requirements of the law because we could not. He came to redeem us and usher in a New Covenant! That helpless human baby that young Mary held in her arms is the very same One made the stars, put them in the heavens, and orchestrates their movements. He’s the One Who ate with Abraham, parted the Red Sea, and caused the sun to stand still over the valley of Ayalon for almost a whole day for Joshsua. He is the One Who ate with Zacchaeus, Who turned to look into the face of the woman sick for 12 years that others shunned. She was healed the instant she touched the hem of His garment. He is the One Who stopped the funeral procession to raise a widow’s son and rebuked the disciples for preventing the children from coming to Him……He’s THAT JESUS! No Ark In The Temple. During the entire time that Jesus walked this earth, there was no Ark of the Covenant in the temple. It had disappeared many years before, sometime during the Babylonian captivity. No one knows for sure. But they didn’t need one. Why? Because the REAL ONE was outside, walking amongst His people. He healed the sick, cleansed the leper, raised the dead, and cast out demons! Where Is The Ark Today? Where is the Ark today? It’s you and me, Church! We are the Arks of the Covenant because Jesus lives in us! HALLELUJAH WHAT A GOD! WHAT A SAVIOR!! And it’s this wonderful Jesus Who represents you and I today at the Father’s right hand, Who advocates for us. He has a beating, compassionate, loving human heart. He doesn’t merely understand what you’re going through; He FEELS WHAT YOU FEEL….and He’s praying for YOU…..right now; right here, right where you are. And where are you? 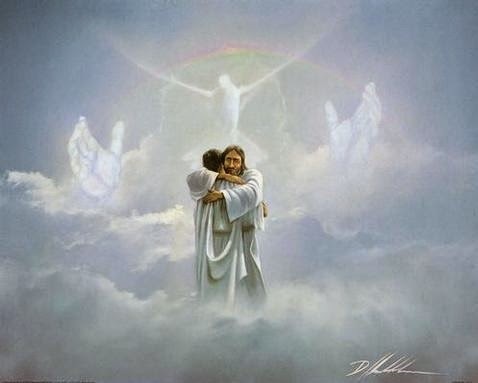 You are here—>In His Heart.